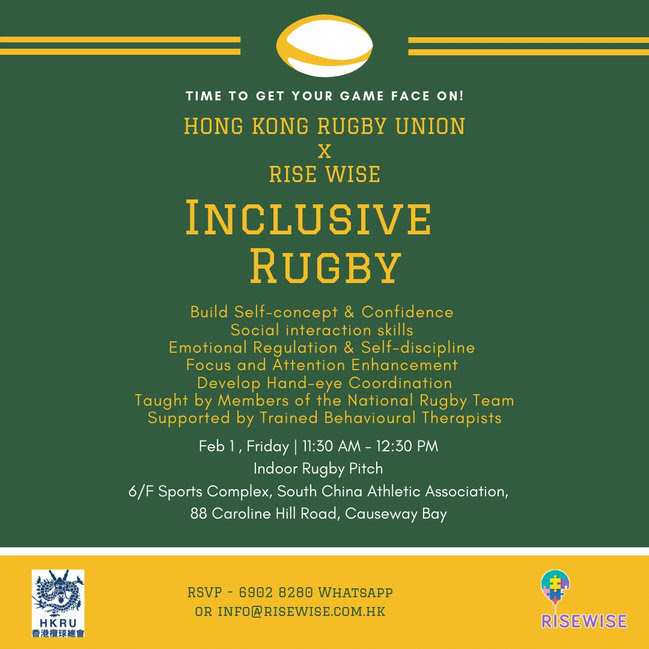 The Hong Kong Rugby Union and Rise Wise are thrilled to bring you an Inclusive Rugby Open Day! During the event, the members of the HK National Rugby Team will be coaching the kids, teaching them different rugby techniques, training their cooperation, team work and social communication skills, as well as having fun games and activities on the field. Trained therapists will also be present at the event to provide support to the children.